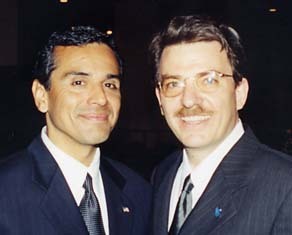 Ed and Antonio: Ed Roybal and Latino Politics in Los Angeles, LA Weekly, November 3, 2005. Edward R. Roybal: Reflección Sobre Un Pionero Latino, La Opinion, October 30, 2005. LA Vladeck Center Could be Demolished for a New Police Station if Efforts to Preserve It Fail, Jewish Journal of Los Angeles, May 13, 2005. McWilliams Fellow Ken Burt Wins History Prize, Public Affair Report, Institute of Governmental Studies, University of California, Berkeley, Vol. 45, No. 2 (Fall 2004). HSSC Awards Luncheon to Honor Eight Authors and a High School Teacher, The Southern Californian, Historical Society of Southern California, Vol. 16, Nos. 2-3 (Summer/Fall 2004). You Don't' Have to be Jewish... The International Jerusalem Post, December 12, 2003. Realidades: Los Soldados Americanos, a public television mini-documentary on Latino veterans, on PBS's American Family, August 14, 2002. Meet Me At Brooklyn and Soto: A New History of Boyle Heights, Yiddishkayt: News of Yiddish Happenings in Los Angeles," Vol. 4, No. 2 (Sept. -Dec 2001). Boyle Heights: Only in America, [Los Angeles] Eastside Sun, September 13, 2001. Getting to 50-plus-1, LA Weekly, April 27-May 3, 2001. Kenneth Burt to Explore the Role of Jews in Organizing Labor, [Long Beach and Orange County] Jewish Community Chronicle, January 24, 2001. 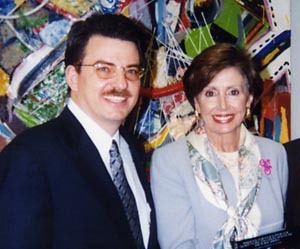 County Democratic Chairman Honored as Pioneer Activist, Ventura Star, August 15, 2000. Common Threads, This Week's Yiddishkayt L.A. Festival Will Explore the Longtime, Complex Ties Between L.A.'s Latino and Jewish Communities That Many Say Might Determine the Shape of the City's Future, Los Angeles Times, October 21, 1999. Film Details Jewish Laborers' Efforts Against the Nazis, Jewish Bulletin of Northern California, April 2, 1999. On the Archival Trail of the CIO and Hollywood's Labor Wars, California History, Spring 1996.